One of two grass court tournaments as a final warm up to Wimbledon, the AEGON International in Eastbourne is a fairly new ATP 250 event. Combined with the much older Women’s event, the Men’s event is in its fifth year. Four different players have won the trophy but only Andreas Seppi will appear this year and is seeded eighth. Last years winner Andy Roddick has now retired. Despite having a massive serve that you would expect to serve him well on the grass, top seed Milos Raonic has struggled to date on the surface and last year suffered losses to the likes of Sam Querrey and Benjamin Becker. He was extremely disappointing in Halle, losing 6-4 6-2 to Gael Monfils and requested a wildcard to the tournament for extra practice. His first opponent will be either Denis Istomin or Ivan Dodig. Istomin made the second week of Wimbledon last year while Dodig is more than capable on the surface, last year defeating Jo-Wilfried Tsonga at Queens. Viktor Troicki should make light work of Martin Klizan, who is very inexperienced at this level on the grass. He has just one win at tour level on the surface, defeating the now-retired Juan Ignacio Chela in a marathon five setter at Wimbledon last year. Grega Zemlja takes on Fabio Fognini in what should be an intriguing encounter. Zemlja made the quarters in Queens but was defeated comfortably by Tomas Berdych. His biggest success was the Nottingham challenger title which saw him earn a wildcard to Wimbledon last year as he began to establish himself on the tour. Meanwhile, Fognini lost to the eventual winner Roddick here last year while early round meetings at Wimbledon and the Olympics against Roger Federer and Novak Djokovic were unsurprisingly disappointing for the Italian. Juan Monaco has had little success on the grass in his career and it would not be a surprise to see him exit early at this tournament. Feliciano Lopez is a very competent grass court player but runs into his nemesis in round one in the form of Jarkko Nieminen. The Finn has a surprising 7-2 record against Lopez, including a win at Wimbledon last year in four sets. Nieminen’s performances on the grass have been far from special in his career and he was shocked by Daniel Evans in Queens last week. James Blake defeated Sergiy Stakhovsky in the final qualifying round to earn his spot into the tournament and has earned a nice draw in the form of Albert Ramos. Ramos is 0-3 in his career on grass and won just three games against Roger Federer at Wimbledon last year. 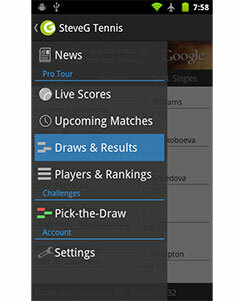 However, Blake is on a 6 match losing streak at main draw level on the surface. Expect to see a much closer meeting between Alexandr Dolgopolov and Fernando Verdasco when they meet in the first round this time – their last meeting was a 6-0 ret. victory for Verdasco in Rome last year. This will be Verdasco’s first time playing the tournament while Dolgopolov was a semi finalist in 2010. 2011 winner Andreas Seppi begins against a qualifier in Guillaume Rufin. Rufin has won just 1 main draw match on grass, defeating Steve Darcis in five sets at Wimbledon last year, also as a qualifier. Seppi was a losing finalist last year before a disappointing first round exit at Wimbledon to Denis Istomin. If Seppi advances he could play a second qualifier in Ryan Harrison, should the American defeat the out of form Paul-Henri Mathieu. Mathieu is just 2-11 on the year and has lost his last three matches on grass, including this year at Queens in straight sets to Aljaz Bedene. Meanwhile, Harrison qualified without dropping a set and should fancy his chances against the Frenchman. Philipp Kohlschreiber has a great chance to go far in the tournament but will have to do better than he did in Halle where he was outplayed by eventual finalist Mikhail Youzhny. The German plays either Marinko Matosevic or Radek Stepanek, one of the few serve and volleyers left on tour. Stepanek still can play well on the grass despite his inconsistencies and has taken sets off Novak Djokovic and Rafael Nadal on the tour in recent years. Kevin Anderson can take advantage of his quarter of the draw with a section that sees two wildcards and a qualifier but must first come through a tricky opening round against Julien Benneteau. Having lost three of his last four grass court matches to Grigor Dimitrov, Anderson will be thankful it’s not the Bulgarian competing in this tournament. Meanwhile, Benneteau showed he is still a threat on the grass when taking two sets from Roger Federer at Wimbledon but his best showing here is the quarter finals, which he achieved in 2010 and 2011. Anderson trails the head to head 2-1 but defeated Benneteau in their last encounter in Sydney. Since the personal problems regarding his coach and father were made public, Bernard Tomic has been struggling for form with just 1 win in 6 attempts. However, he has always found it difficult on the clay and the switch to grass could hopefully see improvement but he has failed to live up to the 2011 Wimbledon quarter final showing. Tomic has now lost six straight on the grass, most recently to Benjamin Becker in a third set tiebreak. Tomic will play James Ward who suffered defeat to Ivan Dodig at Queens despite holding two match points on serve. Second seed Gilles Simon looks likely to meet a fellow Frenchman in his opener as Kenny de Schepper faces wildcard Kyle Edmund. The big serving de Schepper should have too much for the 18 year-old who competed admirably at Queens last week but eventually went down 7-6 6-4 to Grega Zemlja.